What Cigar Does One Smoke While Running a $60B Ponzi Scheme? Running a $60 billion ponzi scheme takes a lot of work. It involves long hours drafting false trade tickets, and you can’t escape that ever nagging feeling in the back of your mind that the Feds may come a knockin’. So what cigar does such a pillar of the financial community, Bernard Madoff, smoke? Or rather, what did he smoke until he was jailed last Thursday after pleading guilty to 11 felony charges? 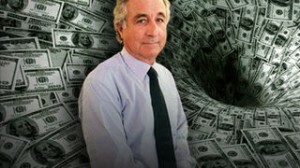 After extensive research, Beer, Bikes and Butts has uncovered Madoff’s cigar of choice. Not surprisingly, it was not some inexpensive stick. He smoked Davidoff cigars. Although he has not yet been sentenced, some are estimating that it may be 150 years (with 15% off for good behavior) before he enjoys another Davidoff. Don’t they allow prisoners to smoke? And won’t Maddy be in some minimum security resort? And didn’t his wife successfully keep some bucks for herself? So, unless she’s ticked off at the old man, she’ll probably arrange for him to have a few overpriced sticks. But I could be wrong. Considering even drugs make it into prison, I suppose he could have some cigars smuggled in.